A Magical Halloween kicks off tomorrow!! Who’s excited? Learn a little more about Melissa and what inspires her by taking a peek at her feature from the last designer reveal here on the Mousetery Tour, just click here. Learn a little more about Christina and what inspires her by taking a peek at her feature from the last designer reveal here on the Mousetery Tour, just click here. See you tomorrow for big kick off!! Only 3 day’s to go till the next tour!! Make sure you’ve marked October 1st in your calendars! 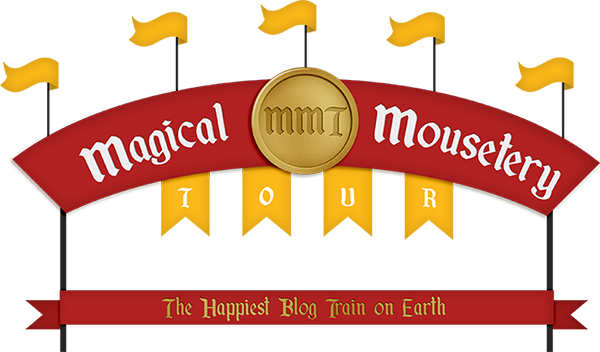 Shalina is a brand new contributor to the Magical Mousetery tour. Having previously designed under the name of Wyld Peas Designs she has re-branded and is bringing you the same great supplies under a new name. We’ll be bringing you her designer feature as soon as the new area is set up on the blog. Learn a little more about Tracy and what inspires her by taking a peek at her feature from the last designer reveal here on the Mousetery Tour, just click here. Learn a little more about Marieke and what inspires her designs by checking out her previous designer feature, just click here. Learn a little more about Mags and what inspires her by taking a peek at her feature from the last designer reveal here on the Mousetery Tour, just click here. Boo! The next Magical Mousetery Tour departs in just 5 days – it’s no trick! Make sure you hop along for the ride because there are so many Halloween treats coming your way on October 1st. If you want to learn a little more about Fran and what inspires her, you can read her reigned feature from last time she participated in the tour by clicking here. Learn a little more about Tammy and Shelby and what inspires them by taking a peek at their previous feature, just click here. 2 days till kick off! We’re so excited to be here today revealing Mags of Mags Graphics. So let’s get to know Mags a little better! Make sure you read ’till the end for a sneaky peak of her gorgeous submission! I’m Maggie / Mags / MagsGraphics from Ohio. I’m a former 1st Grade Teacher -turned- At Home Mom and Digital Product Designer for MagsGraphics, Gingerscraps, Scraps-N-Pieces, and MyMemories. I’ve been married to my college sweetheart for 20 years, and we’ve got two sons: a 10th grader and 7th grader! I’m a BIG NERD – I love Buffy the Vampire Slayer, Harry Potter, Walking Dead, and other geektastic things! Since I was a paper scrapper for over 20 years (I started when I was 15! ), my designs are definitely reminiscent of paper-pieced materials. I try to make my layouts look as “paper-like” as possible. Q. What is your favorite part of the design process? My favorite part of the design process is making the kit previews; then I can see how it all comes together, and there is a tremendous sense of accomplishment of completing a new collection. Q. Who is your favorite Disney character? My favorite characters are all of the villains! Maleficent is a Queen who can turn into a DRAGON – how neat of a trick is that?! Plus, the villains are much more interesting… Ursula, Captain Hook, The Evil Queen – Fantastic! Q. What’s your favorite Disney movie? My favorite Disney movies are The Little Mermaid and Finding Nemo—The Little Mermaid for the music, and Nemo for the witty one-liners. Single or Multi-Photo? MULTI! I love to cram as many photos as I can on a layout! Sun or Snow? SNOW! I LOVE Snow! Books or Movies? the BOOKS are always better… But I love a good movie too. Skirts or Jeans? My favorite thing to wear is jeans and fleece!